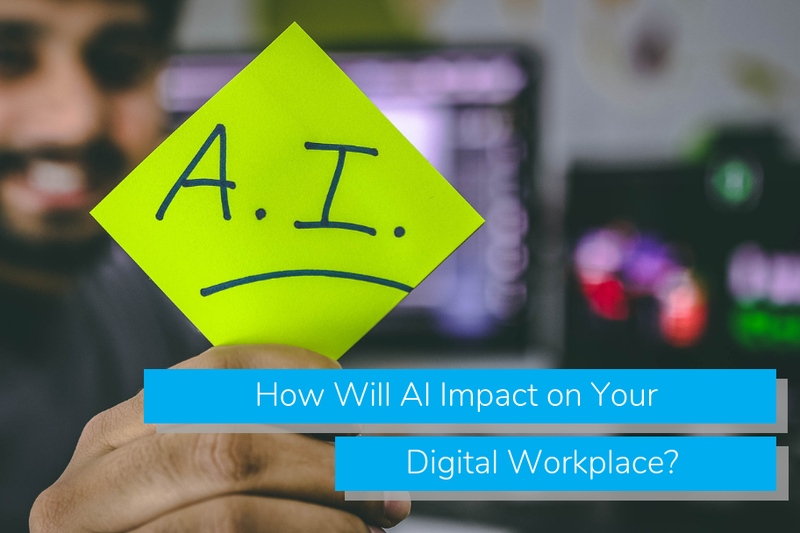 How Will AI Impact on Your Digital Workplace? Is your digital workplace AI ready? 81% of IT leaders are currently investing in the skills required to turn the “search generation” into the “ask generation”. With AI now at the heart of the smart home, how is AI set to impact on your digital workplace? With venture capital currently making huge investments in machine learning apps, it’s easy to believe the AI hype. However, most analysts believe that humans will remain at the heart of enterprise because good business relies on relationships and not algorithms. Where AI is predicted to make an impact is on supporting business relationships with better data and intel, enabling smarter decision making. And as AI displaces humans in certain roles, others will emerge to manage the risks and liabilities of the AI revolution. But is AI ready for the challenges of data analysis in modern enterprise? Currently many applications are expensive and complex – they may spot the patterns in data analysis that the human eye can miss but are currently too complicated for widespread use. The coming years are predicted to see an upswing in easy to use applications that harness machines to create easy to use data analytic tools. One area where AI is already making a profound impact is on security and authentication. These transformative solutions depend on the speed of data capture and manipulation of which AI is capable, allowing for data validation and digital experiences that are faster, more convenient and more secure. From smartphone authentication, predicated on AI driven facial recognition to the use of AI enabled cameras to monitor access to physical spaces, we are still at the early stages of AI digital experiences. That chatbot that you interact with when accessing customer services? It can already pass the Turing test meaning it’s indistinguishable from a human. These AI enabled digital experiences are driving intelligent marketing and customer experiences, and rates of adoption in the marketing sector are relatively high, with 53% of marketers planning to adopt AI within 2 years. This widespread adoption has the potential to revolutionise and fully optimise our day to day digital experiences. So how does that relate to the digital workplace? Contextually relevant and real time experiences are expected to be delivered with advanced personalisation, allowing the introduction of smart assistants who will invisibly streamline workflows and processes. Want to be an instant expert when using a technology you’ve never encountered before? The combination of AI and predictive analytics can deliver step by step guides that provide a digital learning experience based on predictions of user behaviour. The predicted global IT spend will be nearly $4 trillion this year and measurable returns on investment coupled with a superior user experience and improved productivity will be critical. Equipped with new AI models, e-learning technology can address issues as they arise and act as a virtual tutor, adjusting content to your specific needs in real time. This ‘just in time’ training delivers the knowledge your workforce need, when they need it. The ultimate goal? To develop AI machine learning to the point where your AI learns about you so you no longer have to learn any software. Recruitment process are ripe for automation with various subsets of AI. For example, process automation using digital calendars, messaging and algorithms is set to radically overhaul the scheduling of the interview process. Inevitably this has the potential to eliminate several human roles in the process. While 80% of employers believe AI will create jobs, the automation of workflows with chatbots that provide conversational experiences and ease of access to information in ‘systems of record’ like HR, CRM and finance may have profound implications for some departments. On the flip side, the ability to use AI to rapidly analyse big data and identify patterns of performance is an important tool for talent recruitment and retention. By allowing human resources to identify high and low performers, AI is a useful support mechanism when developing incentivisation programmes. So will AI improve worker performance? 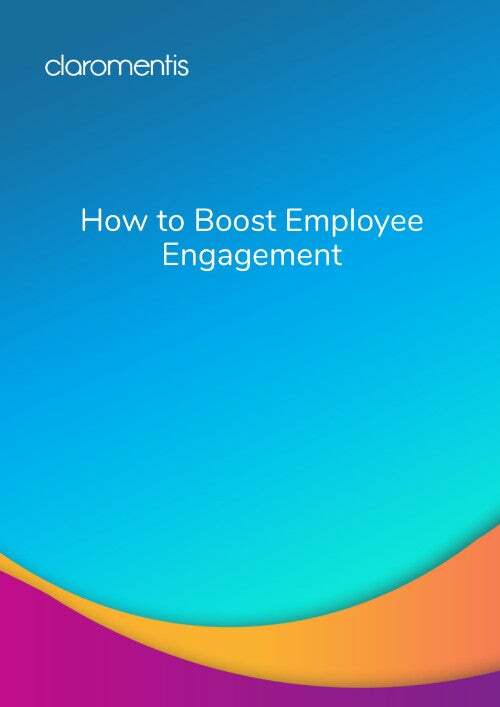 By doing the heavy lifting when it comes to creating rich and accurate data that enriches every customer touchpoint, and augmenting human resources with the seamless automation of both complex and routine tasks, the answer must be yes. We’re already familiar with digital assistants on our phones and in our homes, while software like Office 365 uses AI and machine learning to simplify more complex tasks. The fact is, AI is already working invisibly in the daily processes that drive our work and social lives and the digital workplace will be next. That transformation is already underway, creating a space where people and AI driven machines can connect to learn and improve. Intuitive and integrated AI has the potential to be a compelling proposition for the digital workplace when it augments human relationships rather than replaces them. Why HR Teams Shouldn’t be Scared of Utilizing Internal Social MediaOpening Up New Possibilities: Is Cloud Storage the Future of Document Management? Get essential intranet and digital workplace news straight to your inbox every week.